Designed to deliver medication more effectively to the lungs compared to pMDI alone1, enabling asthma and COPD patients to take control. Cross Valve TechnologyTM is designed to provide low resistance, one-way flow during inhalation for improved drug delivery and ease of use. Transparent chamber allows clear visualisation of valve movement and enables direct confirmation of correct use by patients. Universal inhaler base fits most pressurised metered dose inhalers (pMDI). Multipurpose mouthpiece can be used with standard 22 mm OD mouthpiece fittings for the delivery of asthma and COPD medication. Not made with natural rubber latex, PVC and phthalates. pMDI can be stored in chamber body. For use as part of an asthma action plan. 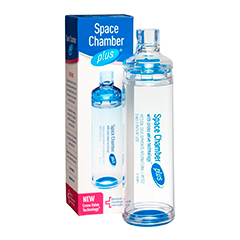 Available as Space Chamber Plus* only or as Combination Packs with Silicone Face Masks (Small, Medium and Large). 1Terzano C (2001). Pressurized metered dose inhalers and add-on devices. Pulmonary Pharmacology and Therapeutics. 14, 351-366. 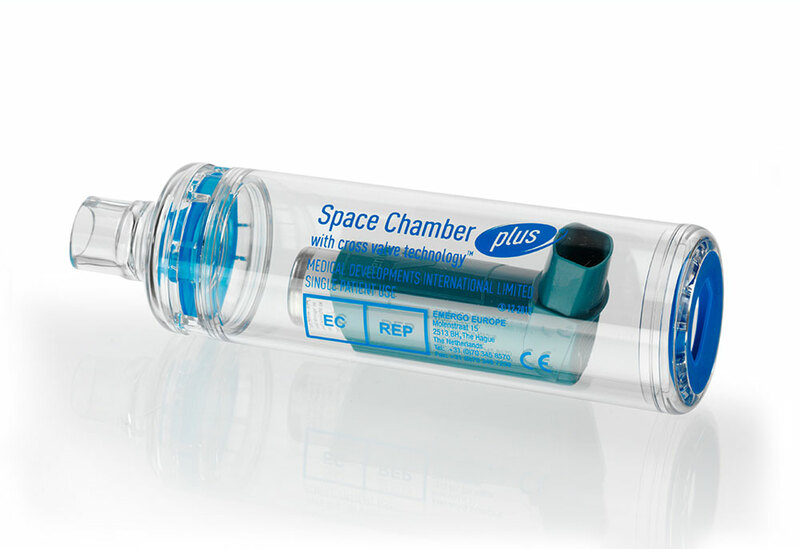 *Available in the US as Compact Space ChamberTM and Compact Space ChamberTM with Cross Valve TechnologyTM.